People always hate filling out forms, especially when it comes to address. They can be slow and frustrating to complete the page. 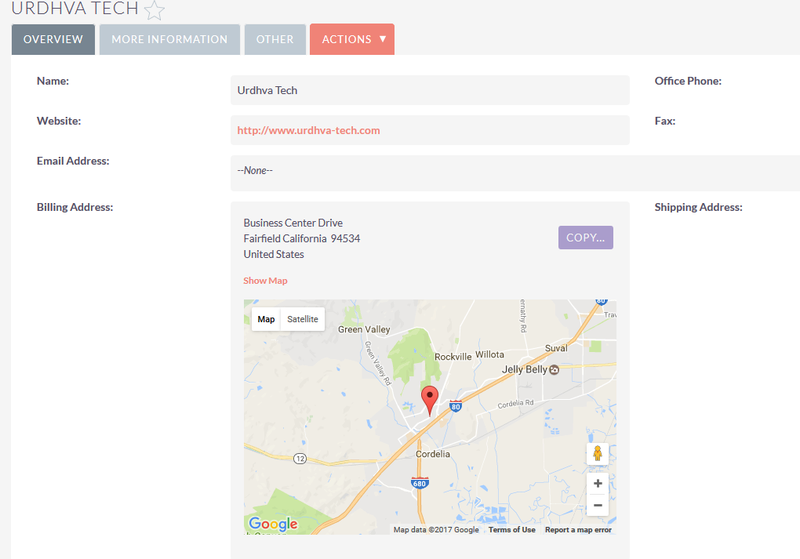 We come with a solution a Google Place API with autocomplete for Address block which has field type "Address" in SuiteCRM. So the user just needs to type few letters and Google will suggest you the address Like Address Look up, Select the correct address and all address field will be auto-filled. How speedy and accurate isn’t it! Additionally, we have integrated Google map in detail view for the address type field. Google Address Autocomplete for makes it easy for you to add that little bit of magic to your SuiteCRM that shows your users that you care about their experience and time. Once you are done with installation and API key configuration. It will be displayed address autocomplete in your EditView as shown. 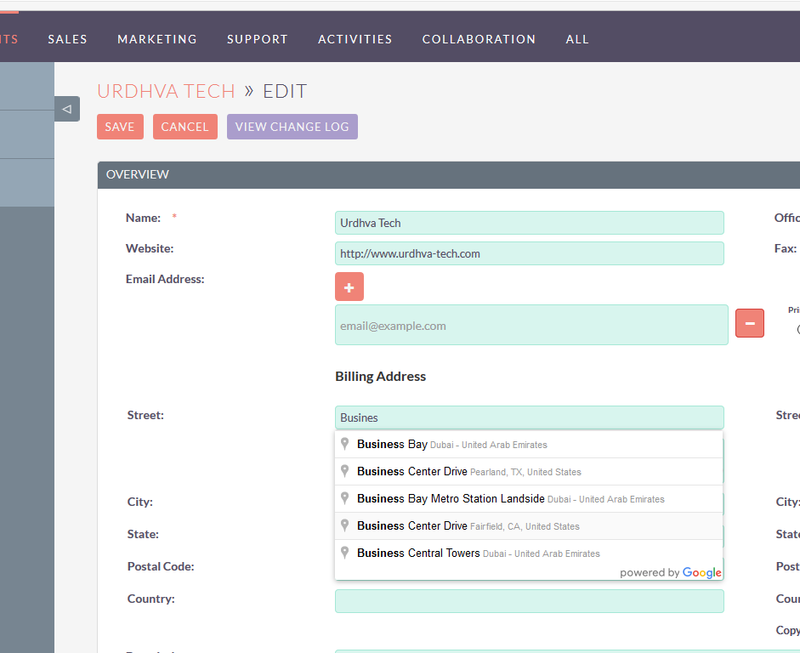 Urdhva Tech is a leading provider of SuiteCRM Consulting, Implementation, Training and Customization services located in Ahmedabad, Gujarat India. At Urdhva Tech, we continuously endeavor to deliver world class SuiteCRM Development services that help develop a competitive advantage for your business. We have amongst us, some of the best SuiteCRM Developers having sole experience of 7+ Years on SugarCRM, who can help you in streamlining business processes and reducing operational overheads. Our services are not only cost-effective but also best in terms of quality. "Unprecedented service! Even customized the Dutch Address Layout. We are a very happy customer!"